After payment you will immediately receive a link to activate the game (GIFT) in Steam! All Gift purchased by OFFICIALLY! 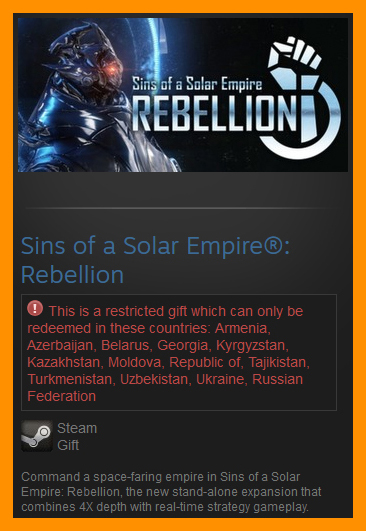 One of the three customers (in random order) who leave a positive feedback, will receive a gift - interesting game for Steam or Origin! Gift will be sent within the next 48 hours from the time of writing comment. 2. Sign up for a new Steam account or login to an existing one. 3. Copy and paste obtained link to your web browser. Add the game to your Steam LIBRARY or to your Steam INVENTORY if you want activate it later.